Helter Skelter Studios provide holiday home photography to all the main portals in the UK & Spain. We work directly with AirBnB Plus and with individual holiday home owners. We dress and photograph holiday lets and BnB's to make them look welcoming, warm and irresistibly attractive to guests! Our journey in this niche started when we bought a run down Cortijo in the Alpujarras five years ago. As holiday home owners ourselves, we have learned exactly what it takes to get that cherished five star rating and close to 100% occupancy. 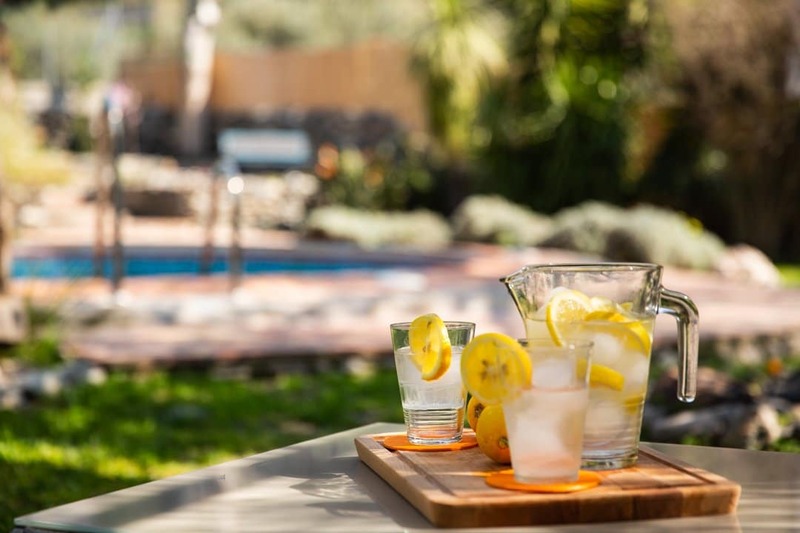 We sell a vision that is shared by our guests - a place where the sun shines, the pool beckons, you can chill out in the hammock with a good book or pick oranges from our trees to juice for the mornings breakfast. Our reality is far removed, we work hard in the hot sun, cleaning, painting, preparing the place for guests, making it a personal hideaway, a place to recharge the batteries and relax. The art of good holiday home photography is to capture that vision. These days we photograph properties in the UK, all over the West Midlands, Shropshire and North Wales for AirBnB and we've found that the principles are the same the world over. People want the dream, not the reality and our job is to deliver that dream. Remove everything that personalises your property - your potential guest wants to feel it is their property not yours, so get rid of toothpaste, soap (unless new), half drunk cups of coffee, magazines, CDs, etc. Make it a blank canvas, liven it up with a bunch of fresh flowers, make it look as it will look the first time your guest enters the property. Most indoor lighting creates a strong yellow caste. This will be about as inviting as nicotine stains. Use long exposures if necessary, but take advantage of natural light, it is soft and inviting, especially at this time of the year. People prefer open doors, showing a glimpse of the outside or the next room. Closed doors are claustrophobic and unless you want your very own hermit, will not attract great guests! Remember, you're selling a dream, make it look the part. Analyse that dream, take it apart and photograph it in wide angel, medium and closeup. Make your pictures tell a story! You want your guest to be thrilled and delighted, not disappointed. We have a very large garden at our house in Spain that we barely feature in our ads. We've had guests literally gasp when they take it all in. Remember the way you have photographed it and make it better! We've shot dozens of premium properties in the UK and Spain for all the major holiday portals. We know exactly what it takes to create that dream. We will spend more time (half a day) and take more care than agency photographers. You will get the best photographs money can buy. We charge by the session, so you'll get a selection of photographs to choose from showing every aspect of your property. You'll have more than enough to feed your social media, vary your portal presence and jazz up your web site. If you'd like us to help you market your property with professional holiday home photography check out our tourism photography page and contact us today!